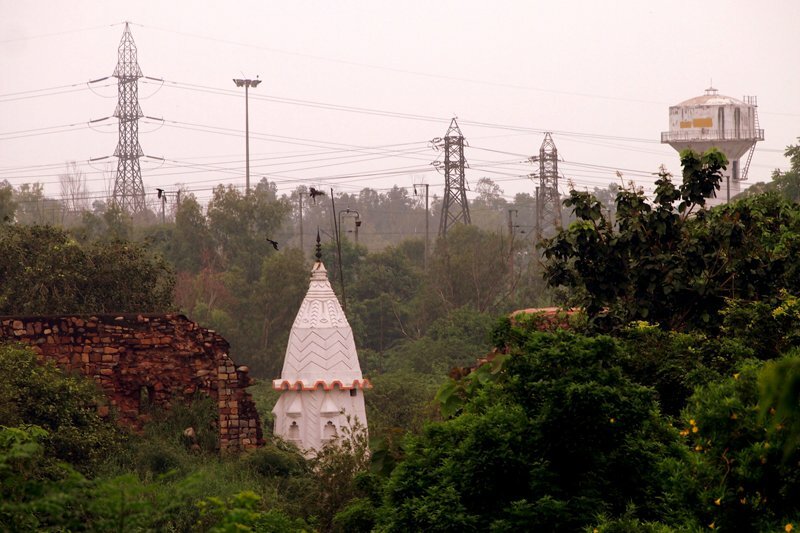 A small Hindu temple right outside the mainly Muslim historical complex of Humayun's Tomb in New Delhi, India. INDIA – Rafat Ali has traveled enough in the last year to fill three passports. In this photo essay, he captures mosques in New Delhi and Aligarh in India. The gorgeous angular lines of the well-kept Humayun's Tomb in New Delhi, India. Kids peeking in the various "jharoka" windows of Humayun's Tomb in New Delhi, India. Jama Masjid right after Friday prayers in Old Delhi, India, with monsoon clouds hovering above. 15th-century Mughal/Islamic seal spotted on the walls of Afsarwala mosque near the Humayun's Tomb, Delhi. The world passes me by at Jama Masjid in Old Delhi after Friday prayers. Sir Syed mosque in my parent's hometown of Aligarh, North India, right after sunset. Sir Syed founded the famous Aligarh Muslim University in 1875. The ancient diary 500 meters from my parents' house in Aligarh in north India. Minty-fresh milk! A giant goat guards the entrance of the Upper Court City mosque in Aligarh, north India. Upper Court City mosque in Aligarh, thought to be about 350 years old, right after dusk. The Upper Court City mosque in Aligarh, India, near sundown, with faithfuls milling around. They say the domes of this mosque in Upper Court City in Aligarh contain 600 kilos of gold. The various gates surrounding Humayun's tomb in New Delhi, India. Muslim kids visiting Humayan's Tomb monument in New Delhi, India. 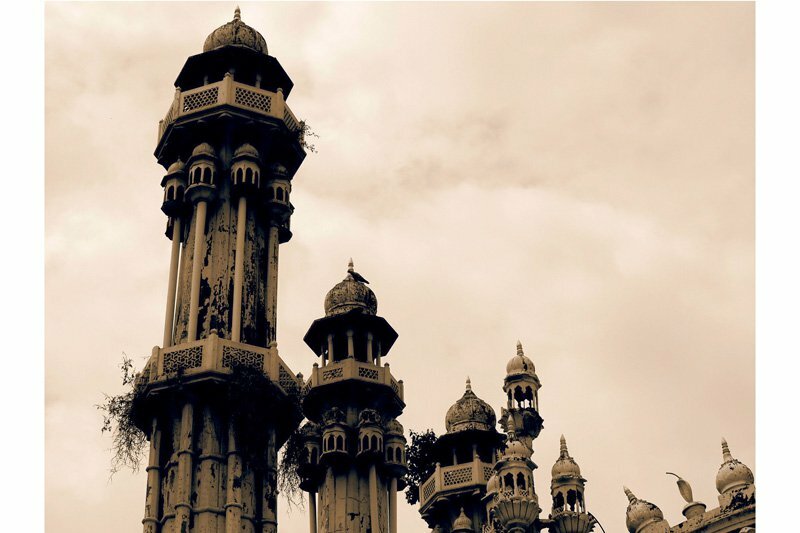 There are said to be more than 400 gorgeous and intricate domes on top of this tiny mosque in Aligarh, North India. Breaking away at Humayun's Tomb, New Delhi, India. Journalist and web entrepreneur Rafat Ali has been circling the globe since last summer. We've followed his journeys through Twitter and Facebook, and wanted to add a few of his collections to FATHOM. First up, mosques in India. What inspired his wanderings? Good question. I am an internet media entrepreneur. After pouring eight years of my life and a lifetime into and selling it, I climbed out of the virtual hole I had built around myself, and breathed. What was supposed to be a two-to-three month head-clearing travel sabbatical stretched into more than a year spanning ten countries. The idea was isolation, through solo travel to places which don't usually see many outsiders. And in countries which do have tourist traffic, to go exactly the opposite way of the Lonely Planet trail, so to speak. After traveling through Oman, Iceland, Outer Hebrides Islands, Mongolia, Comoros Islands,Tunisia, India (twice), Colombia, Qatar, Uzbekistan — with Myanmar and a return trip to India and Comoros planned in early next year — I may have lived another lifetime since last summer. Rafat is an Indo-Brit-American and a New Yorker. Post-startupland, he travels to satisfy his global soul.